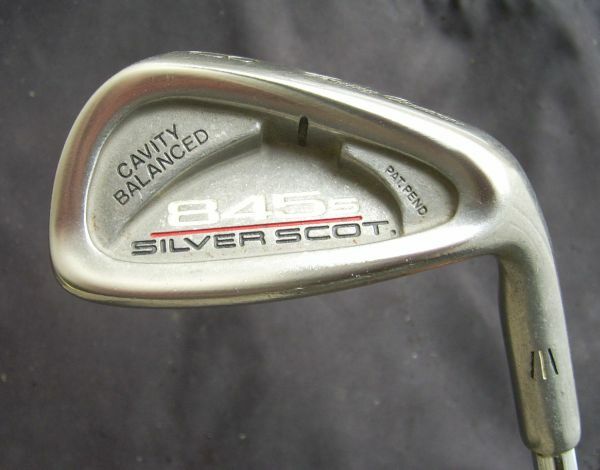 "I want a Tommy Armour 845s Silver Scot 2-Iron"
I think regular flex, since that is what the rest of my irons are. Thanks! There is an active eBay listing for a used Tommy Armour 2-Iron. The buy it now price is set at $59 plus $9.90 shipping. The seller, besgolfgear, has a feedback score of 3861 so has been around eBay for a while. At thefind.com there are currently 5 stores with 9 products matching a "tommy armour 845s silver scot 2-iron"
A couple of the entries don't specifically say that the club in question is a 2-iron, but this listing from an online store called "Global Golf" is for a used regular flex 2-iron and is currently listed for only $20. Other wants like "I want a Tommy Armour 845s Silver Scot 2-Iron"
Check out these wants (and responses) that are similar to Mitch's request for "a Tommy Armour 845s Silver Scot 2-Iron". Tjfournier wants a used Mathews bow, Amy wants to be a rock star skier, and Moerim needs affordable snowboard boots. details: I need a tree service! Mother Nature brought down a huge tree limb at my Grandma's house. It's partially blocking her driveway. Need a good local tree service! posted on: Feb. 3, 2011, 4:14 p.m.
Posted through: Apr 18, 2019 at 10:59 p.m.